I’m with you, John Henry. I don’t want Manny to go, either. I don’t want Manny and Papi, the most productive 3-4 tandem we’ve ever witnessed, to break up so soon, especially since they’ve just been reunited. Five-plus seasons of that show are not enough. I don’t want to ponder the joy and relief fans (and a certain squirrelly general manager and his blustery boss) in New York will feel when they catch their first glimpse of their longtime nemesis decked out in a teal Florida Marlins uniform. I don’t want one of the signature players of the most fulfilling era in modern franchise history to depart this way, with his legacy tainted and his longtime, reprehensible bashers feeling vindicated. I don’t want yet another Red Sox superstar sent away on a wave of bad feelings. I’ll be downright sad when the news comes that his eight-year run with the Red Sox is officially over. 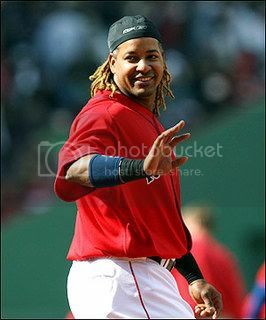 But right now, I just can’t talk myself out of the truth: Manny Ramirez must go. His relationship with the franchise is damaged beyond repair. It’s become too ugly. There’s no coming back this time. He’s already gone in spirit. Manny’s behavior, which at its best is endearingly quirky, now falls somewhere between indifferent and insubordinate. I always thought his antics were mostly harmless. Right now they’re toxic. How many times does he need to rip the organization to his personal media mouthpiece, Enrique Rojas? Twice isn’t enough? How many times does he have to insult the men who pay his salary? How many more impossible situations must he put Terry Francona in? How many more times must he leave his exasperated teammates to face questions only he can answer? If there’s a blessing, it’s that a trade does not necessarily mean a potential pennant has become a white flag, assuming the specifics of the most prevalent rumor are true. Jason Bay is not Manny, but at this point of their careers, he’s closer than casual fans think. He has 22 homers this season, and his OPS+ of 137 is just five points lower than Manny’s. He’s a very good player, and he will help the Sox win, something that’s been a foreign concept since the All-Star break. The Sox have a day off today, and man, do they ever need one. They aren’t dead men walking; they’re dead men popping up, grounding to short, aimlessly heaving the ball around the infield, again and again and again. They’re such a mess at the moment, I keep waiting for Joe Kerrigan to pop out of the dugout to remove Frank Castillo from the game. The Manny situation might not be wearing on his teammates, but they’re sure playing like it is. It would best for everyone employed at 4 Yawkey Way if this is resolved today. I don’t want Manny to go. Too bad he’s made sure that’s the only option.